Sold in excess of 300 million dollars in land, lots, and subdivisions. A total of 59 projects and subdivisions. Residential resale · Commercial Sales/Leasing. Consulting with Builder/Developers in the planning & marketing of new communities. Managed and owned multi-office regional real estate firm, recognized for numerous sales awards. Developed and owned the largest regional real estate company on the Central Coast, consisting of six offices and 170 sales staff D.B.A. Prudential Hunter Realty. This company was acquired by a Berkshire Hathaway affiliate in 2003. 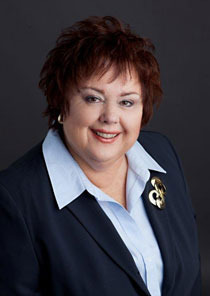 Founding Chair Member Central Oregon Economic Forecast Project 2009 and 2010. Woman of the Year, 33rd Assembly District. 2004 Entrepreneur of the Year, Santa Maria Sun. Rotary International, Past President/Board of Directors of the Santa Maria Rotary South, current member Greater Bend Rotary. 2009/2010 President, Central Oregon Rental Owners Association. Secretary & Board Member, Innovation Theatre Works (non profit, Bend). Central Oregon Economic Forecast Project (co-chair) 2009 and 2010. City of Santa Maria Planning Commission – 2003 to 2006. I just wanted to send a note of appreciation regarding your service to me at HomeStreet Bank over the past year. You have been an invaluable resource keeping me informed regarding the Central Oregon market. Your customer service and follow-up are beyond impressive. Part of that credit goes to the wonderful team you have established with Kevin and Tona. It has indeed been a pleasure working with you.